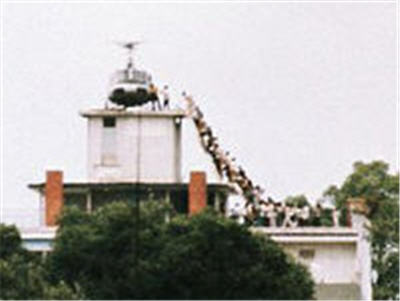 Senators, please explain to America and the world what the exact difference would be between the Marine forces you each have already planned for the task of securing the rooftop of the new American embassy building in Baghdad as the last American helicopter loads up to leave from there en route back to the nearest carrier task force in 2010? Benches, birds, and bees: Daddy, where do judges come from? First, from an interview in the spring of 2007, on the type of judges he would look for: "I think it’s vital to strictly interpret the Constitution of the United States and have a record of that. Not just a statement of it, but a record of it." That would seem to preclude any Harriet Mierses — and any David Souters. I'm concerned that both Mr. Ponnuru and Sen. McClain may be profoundly naïve here — almost like a well-meaning child who suggests that we address the problems of birth defects by instructing the storks at the zoo simply to "take those crippled babies back and bring us some new ones." Taken literally, McCain's quoted statement is entirely impractical if applied to nominees for the United States District Courts. And if this criterion were used even just for the circuit courts of appeals and the Supreme Court, it would radically transform more than two hundred years of judicial selection-making by presidents of both parties. If you're concerned now about the closed-clubbish qualities of many judges, their lack of experience and contact with reality, and the tendencies toward a "secular religion of judges," just wait until this new lodestar for their selection is applied! It's true that state-court judges frequently are confronted with, and make decisions based upon their interpretation of, the United States Constitution. State-court trial judges routinely consider both state- and federal-court precedents on Fourth Amendment issues in criminal court suppression hearings, or Fifth Amendment confrontation clause issues on ruling on objections to testimony. State-court trial judges with both civil and criminal dockets live and breathe the notions of Due Process, some of which may be grounded solely in state constitutions, but most of which is at least originally derived from and ultimately accountable under the federal Constitution. Likewise, the lawyers who practice in state criminal and civil courts must know of and work with federal constitutional law — sometimes a little, sometimes a lot; sometimes very general (as with due process), sometimes very specialized (as with eminent domain). And by any quantitative measure, and many qualitative ones too, most justice in the United States gets conducted in the state courts, and there are vastly more advocate and judicial man-hours devoted to that process than in the federal court system. Even though we don't write federal con-law opinions day-in and day out, we're not stupid; we actually include many of the best and the brightest and the most successful legal minds. But as a general rule, although they make rulings and sign short orders stating those rulings, state-court trial judges around the country generate few written opinions, and in many states (including mine) they typically generate practically none. Lawyers who practice in both those state courts and their federal counterparts may generate a trail of memos, motions, and briefs — but those are works of advocacy, from which it's very dangerous to infer personal legal philosophies. Even state-court appellate judges (from whose ranks David Souter was drawn) write most of their opinions on issues of state law, not federal law, and of the federal law issues they deal with, only some of those are federal constitutional law issues. McCain's criterion, as stated, de-selects from the outset something vastly more than 99% of all licensed lawyers, and probably more than 99% of all lawyers who've ever had an active advocacy practice, either state or federal, trial or appellate. That's an awful way to run a talent search! Major-league baseball has long maintained farm teams. But they also draft players from college baseball teams, and even from high schools. If we go through the Hall of Fame and start automatically and retroactively disqualifying every player who didn't labor on a farm team for at least ten years before making it to The Show, how much less talented a group of athletes will be left? Is no one to be eligible even for a federal district court appointment in a McCain administration unless they've first been a state-court appellate judge for a sufficiently long period as to have compiled a sizable body of written rulings based on federal constitutional law? Are no more federal judges at any level to be appointed from the ranks of practicing lawyers, either civil or criminal? No more law professors? No more former U.S. Attorneys, no more former Solicitors General? No more (gasp) former congressmen and senators? Must all federal circuit judges be drawn from the federal district court bench? Must all SCOTUS nominees come from the federal circuit courts? Because that's not the way it's ever been, not since George Washington first started appointing federal judges. Even John Roberts had a comparatively short list of federal constitutional law opinions that he'd written in his short stay on the federal court of appeals most likely to deal with them. Most of his career, and most of his career qualifications, came from his work as an advocate — albeit mostly in the federal rather than state-court system, and mostly at the appellate level. He would be the first to point out to you that he's never tried a jury case to a verdict. Do you want a federal bench, all of whose members must also admit to that? Nor are problems of judicial activism limited to decisions involving the federal Constitution. To the contrary, it's the interpretation and expansion of federal statutes and even the federal common law that gives most knowledgeable conservatives heartburn. This "cure" misunderstands the disease, and it just won't work. Anyone who takes it literally and seriously doesn't understand the system. Federal judges have never been brought by the "federal con-law opinion stork," and they never will be. This supposed criterion for federal judicial appointments is silly nonsense. I've been pondering what I ought to write about Fred Thompson's withdrawl from the 2008 presidential race after the South Carolina GOP primary. Usually I'm not much of a pure "linker" as a blogger, because I figure most of you who find your way here already have your own regular reads, and you really don't look to me for recommendations so much as for something original or unique. (Or so I flatter myself.) But of all the postmortems I've read about the Thompson '08 campaign so far, this one, by Andrew Ferguson in the Weekly Standard, is probably the closest to what I would have liked to have written myself. I commend it to your reading, and commend him for writing it, and I associate myself with his remarks (as they still sometimes say on the floor of the U.S. Senate). But reading it has helped finally crystallize my own post-postmortem for the campaign, which I spew here in what feels like the lancing of a moderately nasty boil. Among Mr. Ferguson's observations is that Fred's reticence to engage in retail campaigning (a dispiriting picture of which Ferguson paints very skillfully) marks him as a man out of sync with his own time. Mr. Ferguson points out, accurately, that the amount of hustling and bustling now considered mandatory for presidential candidates would have been considered very unseemly in past eras. But my own contemporaneous feelings, though, as the Thompson '08 campaign floundered and failed — although not necessarily inconsistent with Mr. Ferguson's — were that Fred's campaign was in fact ahead of its time, not behind the times. What was old, shall soon be new again (just ... digital). Presidential primaries are anachronisms, designed to dilute some power from, and otherwise to organize on a pre-convention basis, local and regional king-makers left over from the era of unabashed party-machine politics. Entire states now have vested, obvious interests in the nomination process that conflict with the modern parties' interests, but more importantly, with the interests of the American nation as a whole. I mean no offense to the people of Iowa or New Hampshire, nor those of Michigan or South Carolina or Florida or Nevada, who've been behaving like squabbling kindergartners fighting for their respective places in line. But as a nation, we can't afford the luxury of indulging your regional pride/selfishness any longer. The current primary system has never been so obviously ridiculous, so obviously antiquated, as it has been this year. And its demands were, in my view, terminally incompatible with the candidacy of the best potential American president to declare this year. More specifically, his personally and the requirements of that system could not be made to mesh because the current primary system is still fundamentally geared to require state-by-state retail politicking. Huckabee has a natural talent and thirst for it, which is why he was still on the GOP debate stage last night. Romney has the discipline and energy and money for it, if not the same natural retail skills, so he was still on-stage too. McCain has coasted in based on name recognition from 2000, adoration from the mainstream media, and a reasonable amount of retail campaign hustle too. And the nation is left looking at these three guys (plus a clown), and we're asking ourselves, with a fair measure of disbelief: "How come are they the last three candidates up there?" I presume that Fred and Jeri watched the debate, like I did, from home, with more than a little melancholy for what might and ought to have been. He probably also feels some measure of relief, which I can't begrudge him. And he probably had a good cigar, over which he felt no guilt, and of which I'm moderately jealous. I don't know if the system can be changed by 2012 or not. My current hope is that the fallout from the Democratic Party's stated intent to disregard the results from the Michigan and Florida primaries in their entirety may become the seed from which comprehensive, bipartisan primary reform grows. Someone other than the candidates themselves will have to become its champion, even if a partisan fight (here, between Hillary and Obama) starts the ball rolling. But eventually the system will change. Television, even as augmented by cable news channels, wasn't sufficient alone to wrench the remaining power from the hands of the local and regional would-be king-makers, nor to impose rationality upon a system that developed for an age whose respective natural boundaries ought to have been marked by the advent of telegraphs and the demise of rotary telephone dials. But television plus the internet eventually will do the trick, because together they demonstrate just how great the gap is between what we need as a nation and what the current system is selecting for. When it does, we'll have a better chance of getting candidates who would make the best presidents — not the best campaigners. The time for a thoughtful campaign like the Thompson '08 campaign will finally (once again) have come. But this wasn't that year, and barring a GOP convention deadlock (which is still the longest of longshots), Fred Thompson won't be the first successful pioneer of a true 21st Century information-age candidacy. Alas and alack for that. But now, as I allow my digital video recorder to begin unspooling the first of the Democratic primary debates limited to two candidates, I'll raise a fond toast to the tall Tennessean, his bride, and their young family. I thank you for trying, and I don't fault you for failing to transform yourself into something you could not bear to be. McCain's nasty and deceitful distortion of Romney's supposed endorsement of a "secret timetable" for an Iraq withdrawal managed to put Romney in the unfamiliar (but welcome and sympathetic) position of someone badly sinned against. The harder McCain struggled to repeat the charge and defend it, the more petty and disingenuous he seemed. Every bit of ground that McCain tried to make up in his Florida victory speech (and before and since, including tonight) by stressing his intention to appoint clones of Roberts and Alito was undone by saying he's "proud" of Sandra Day O'Connor. I'm sure he felt obliged to say that as a matter of personal loyalty and friendship to his fellow Arizonan. But it confirms that he still has no clue — or simply doesn't care (and I tend to think it's exactly that) — just how much he is mistrusted on the issue of judicial appointments by conservatives for whom that is an important issue. Mitt Romney is improving dramatically as a debater, and tonight he was better, by far, than I've ever seen him. He is at his least appealing to me when he's trying to use his one-liners (e.g., "Washington is broken"). When he lets his MBA-wonkiness loose, he's at his most impressive, even if he's not necessarily generating any warm fuzzies. His best moment tonight was when he took umbrage at McCain's argument that "Anyone can hire [mere] managers." Romney's right to insist that managers can indeed also be leaders. I became gloomy tonight trying to imagine John McCain debating Barack Obama in the general election. If McCain does become the GOP nominee, he should refuse all face-to-face debates, and just let Obama call him a coward. That charge might not stick badly anyway, but whatever damage is inflicted by McCain's refusal to debate would be less than the damage that would be inflicted in the debates — regardless of substance. The contrast in age, energy, hopefulness, optimism, and articulateness would be devastating — vastly more damaging than Nixon's sweat and five-o'clock shadow, which probably cost him more votes than were the margin of his loss in the 1960 election against Kennedy. Huckabee was mostly ignored by the moderators, which he resented, but I didn't much mind. He was only a slightly more serious participant than the clown. He's not thinking in terms of a second spot on a McCain ticket, or else he wouldn't have seconded Romney's argument about why governors make better presidents than senators. I am not a McCain supporter for purposes of these primaries, and my view may be heavily colored by that. I'd be especially interested in your reactions, in the comments to this post, if you, too, watched the debate. I don't much care about Wall Street Journal political reporter John Fund's report yesterday that's roiling the blogosphere and cable news talking head shows. Fund reported that Sen. John McCain "has told conservatives he would be happy to appoint the likes of Chief Justice John Roberts to the Supreme Court. But he indicated he might draw the line on a Samuel Alito, because 'he wore his conservatism on his sleeve.'" Since Sen. McCain led a gang of other Republican renegade senators in deserting their party's sitting president and colluding with the opposition party to throw some of that president's pending judicial nominations down the toilet — jettisoning along with their confirmation chances the chance for a constitutional showdown that could have ended senatorial filibustering of judicial nominees — there is nothing that Sen. McCain can do, and certainly nothing he can say or write as a campaign promise, to restore his credibility with me on the subject of judicial appointments. Oh, yes, he did vote to confirm Roberts and Alito. But could we possibly set a lower bar than that for someone who's supposed to be a leader of his party and a contender for the opportunity to fill as many as three SCOTUS seats in the next term? There are a lot of good things that can be said about Sen. McCain by good conservatives — but not on this issue. By taking the "constitutional option" (a/k/a "nuclear option" in Dem-speak) off the table, McCain and his fellow "maverick" GOP cronies doomed not only a handful of worthy circuit and district court nominees to non-confirmation, they ensured that the White House would thereafter dare not make any more controversial nominations to those vitally important lower courts. For "controversial nominations," read "demonstratedly and predictably conservative nominations just like Roberts and Alito would have been, but for the higher profile of SCOTUS nominations." The only way that the Dems could justify stonewalling Dubya's circuit and district court nominations was that the stonewalling happens mostly out of sight, and rarely if ever makes a blip on the general public's radar screens. They couldn't get away with denying a floor vote to a SCOTUS nominee. But John McCain led the deal that let the Dems guarantee that they could continue to exercise an effective veto on circuit and district court nominations for the remainder of George W. Bush's term, regardless of the outcome of the 2006 elections. The unquestionable result of the Gang of 14's "compromise," as brokered by John McCain, will be two-fold: There will be more judicial vacancies at the end of the Bush-43 term than there ought to be; and such district and circuit judges as have been nominated and confirmed by January 2009 will be mostly bland ones whom McCain's Democratic allies permitted to go through because the Dems couldn't dredge up or even manufacture remotely plausible objections. Some of them will nevertheless turn out to be very fine judges despite their lack of histories around which the Dems could weave their objections. But if your goal is conservative judges, giving the Dems a near-secret and unaccountable veto, which ie exactly what McCain did, is a very, very bad idea. No sir, the day John McCain led the Gang of 14, he forfeited all of my trust — irrevocably — on judicial selection issues. No ma'am, I don't care what words he mouths now on that subject. To the limited extent that I care at all what McCain says now, the mere fact that McCain continues to defend the Gang of 14 deal out-shouts anything else he says. And saying now that he "fought for" the abandoned nominees is just a palpable lie. The way to fight for them was to continue at least threatening to use the "constitutional option." There was no other way to fight for them. There was no other way to even get their nominations to the floor for a vote! To even pretend that those abandoned nominees had a chance once the Gang of 14 struck its deal is comparable to the Brits and French saying in September 1939, "Well, we did still root for the Czechoslovaks after we forced them to give Hitler the Sudetenland last year. Gosh, we really thought they still had a good chance, but we just ran out of time. How could we know he'd go on to gobble up the rest of their country, and Poland too?" Stepping back and looking at the big picture: Collaborating with the Dems to defeat the Bush Administration's most conservative circuit and district court judicial nominees isn't remotely the same as collaborating with the Viet Cong and North Vietnamese while American POWs (including McCain) were imprisoned. John McCain is not John Kerry, and the Dems are only misguided political enemies of the GOP and conservatism, not profound and literally mortal enemies of western civilization. And I'm sure that in his own mind, McCain has thoroughly rationalized what he did, just like he's rationalized (and now is soft-pedaling) his prior stands on campaign finance reform and immigration. I'm not one of those self-destructive conservative idiots who is going to sit out the 2008 election if McCain turns out to be the GOP nominee. Indeed, if he is nominated — which I still think is unlikely, but I no longer can rule out as a possibility — I'll support him, and defend him, and promote him, and vote for him against whoever the Dems nominate. I will accentuate the positive, for him or any other GOP nominee. But just don't insult my intelligence by pretending that John McCain is a reliable conservative on the subject of judicial nominations. From the point of view of any knowledgeable conservative, this is one of the huge warts on this particular candidate. And he doesn't have to "wear" that particular lack of conservatism "on his sleeve," because it's a wart that's as plain as his nose. You can secure my enthusiastic agreement that the Democratic alternatives are uglier, that they're practically "all-wart." But quit trying to pull my leg about McCain and this particular subject, okay? Maybe if McCain is making a SCOTUS nomination, he really will pick another Roberts or Alito. What concerns me, though, is that at best, he'll gladly let the Dems pressure him into packing the circuit and district courts with Kennedys, O'Connors, and occasional Souters. I have no doubt that John McCain would be willing to take on the Dems on matters of national security, even if it means a bloody, long-term dispute. But I also have no doubt that if pressed (and he will be), he would make his picks, and then cut quiet deals left and right, to avoid such fights over judicial nominees below the SCOTUS level. Since he's already abandoned conservative principles and cut a deal with the Dems on nominees to those courts even when the GOP controlled the Senate, why would he possibly stand up to them as president, especially if they continue to control the Senate? This video is the political equivalent of a televised professional wrestling match — in which both wrestlers genuinely lose their tempers, and each lands some genuine blows that hurt the other. CLINTON: I just want to be clear about this. In an editorial board with the Reno newspaper [sic], you said two different things, because I have read the transcript. You talked about Ronald Reagan being a transformative political leader. I did not mention his name. OBAMA: Okay. Well, I can't tell who I'm running against sometimes! Just brutal. (And brutal precisely because it's so true.) But keep watching, because Hillary has a retort that draws "ooohs" and "ahhhhhs" from the blood-thirsty crowd. Watch the video clip of Jeri Thompson that Allahpundit has linked at Hot Air, in which she comments on Fox News about the current GOP presidential race. Then draw your own conclusions as to whether she's just a "trophy wife" (with all of that term's ugly connotations). She does look great — Allah's commenters insist that she's "freakin' hot!" — but my reaction was that she's very, very cool, capable, and articulate. Fred's indeed an exceptionally lucky guy to have her in his personal life and on his political team, and I hope the Thompson campaign continues to look for opportunities for her to speak on camera like this. Most of the mainstream media, and large chunks of the blogosphere, are behaving like children — more specifically, like children who have not yet completed third-grade arithmetic. Network anchors, national columnists, and prominent bloggers (left and right) have pronounced both the Fred Thompson and Rudy Giuliani campaigns either dead outright or else on life-support (with Do Not Resuscitate toe-tags). But only three of fifty states have determined their delegates — three very small states, at least two of which (the ones everyone has paid attention to) are arguably pretty unrepresentative of the Republican Party nationally. There will be 2380 delegates at the 2008 Republican National Convention. So far, only 71 delegates — less than 3% — have been awarded. At least 1191 are needed for the nomination, and Mitt Romney, the current delegate leader (with 30), so far has less than 3% of the number he'd need for the nomination. And yet some pundits are writing him off (even though he's the only GOP candidate with an effectively unlimited bankroll). Last night, John McCain won a grand total of seven delegates in New Hampshire. That's slightly more than twice as many as Fred Thompson won (3) by coming in second in Wyoming, but compare the volume of media coverage for the New Hampshire result. Note that based on those seven delegates, half the press is ready to declare McCain the "new GOP front-runner"! Yet McCain's win last night in New Hampshire only secured for him just under one third of one percent of the total number of GOP delegates! If you're drawing firm conclusions now about how the race is going to turn out, you're letting yourself be suckered. The pollsters — and the network anchors, national columnists, and prominent bloggers (left and right) who are relying on them — were not only wrong in their prediction about who would win the Democratic primary in New Hampshire, they were wrong by huge margins, and now they can't even explain or agree upon why they were so wrong. The obvious conclusion: They are not reliable. It's too soon to even rule out John Edwards on the Democratic side. And on the Republican side, five different candidates — including Thompson and Giuliani — still have realistic chances of winning. Anyone who insists otherwise needs a refresher in basic grade-school arithmetic. After the huge wave of primaries on February 25th, the shape of one or both races may suddenly become crystal clear. My own guess, however, is that when the dust settles by the next morning, there will still be three potentially viable GOP candidates (Romney, Giuliani, and Thompson, since I personally don't believe that either McCain or Huckabee will win another primary, nor place higher than third in any important one), and two Democratic ones (Clinton and Obama). Now, that's just a guess; there's no science involved. But it's as good a guess, I respectfully submit, as what anyone can peddle or promote as of January 8, 2008. What is relatively certain, however, is that for the rest of the primary season, no candidate has time to sway many voters through "retail politics" (i.e., personal appearances). Television advertising is going to be hugely important, so if you want to see your political contributions go a long way, right now is the time to give. And if you have ever been inclined to volunteer your time for a campaign, now would be a time when you might help make a real difference. "I will beat these people, just like I've been beating them for my whole life"
I think what matters — we've had a lot of conversation about the first day in the White House. I think we ought to picture what that first day in the White House would be, for each of us. I'll just speak for myself. You know, I'm the candidate up here who's never taken a dime from a Washington lobbyist in my entire time in public life, or a dime from a special-interest PAC. The first day that I'm president of the United States, there will be no corporate lobbyists working in my White House. There will be no lobbyist who's lobbied for foreign governments. And it's — this is a very personal cause for me, because I come from a family — my father's in the audience tonight — where my father worked for thirty-seven years in the mills. He didn't get a chance, like I did, to have a college education. And this is a fight for the middle class and for families just like I grew up with. My grandmother, who helped raise me, had a fifth- or sixth-grade education, came from a family of sharecroppers. She worked in the mill every day so I could have the chances that I've had. I spent twenty years fighting irresponsible corporations in courtrooms. I know what it takes to fight these people and win. But here's what I would want people to know. This spiel presumes that everyone in the audience knows that Edwards, before being elected to the Senate, was a prominent and, by all accounts, very successful plaintiff's personal injury trial lawyer. That's certainly a reasonable presumption on his part, given his high degree of name recognition dating back to the 2004 election in which he was the Dems' Veep nominee. This spiel also presumes that the substantial portion of the American public who thoroughly despise plaintiffs' personal injury trial lawyers as as class are already lost to him as potential voters. That's not Edwards' intended audience at all. Yes, I'm a newly rich man. I have a big house, and I can buy $400 haircuts without a second thought, and I can't remember the last time I sat in a center seat with my knees against my chest on a commercial airline flight. But that's because I am a gladiator, a champion, a warrior without compare — and I've wrested the fortune that permits me to own that big house and pay for those haircuts and airline flights from the greedy, blood-drenched fists of the robber-barons whose sole joys in life are to deny badly needed liver transplants to young girls who actually do have health insurance. And if you want to enjoy the sheer spectacle of me slaying the Big Insurance Companies, the Big Pharmaceutical Companies, and the Big Oil Companies from the White House (instead of just from the courtroom), give me your vote! It's not exactly political jujutsu, because he's not speaking to the voters who detest plaintiffs' personal injury trial lawyers. He can't "flip" those people. He's not even trying (at least not now, not during primary season). But it's certainly an example of exploiting — ruthlessly, shamelessly, aggressively, incessantly — the exact part of his career history that other voters than the ones he's trying to woo consider to be among his biggest liabilities. Way back in December 2006, I wrote that Edwards' career as a plaintiffs' personal injury trial lawyer ought not automatically disqualify him from public office. Rather, I argued, qualities (or lack thereof) personal to him ought to compel that result. But there's a reason that Gladiator won Oscars for Best Picture and Best Actor, after all! Edwards' exploitation of his past as a plaintiffs' personal injury lawyer is deliberate and, perhaps, very canny. As the 2008 presidential campaign has played out, it's become increasingly clear that that career history is not only fundamental to his personality, but to his basic campaign strategy. So just how successful was John Edwards as a trial lawyer? Did he almost always win? Did he win most of the time? More than fifty percent of the time? Nobody really knows, not with mathematical or statistical precision. Even John Edwards himself doesn't know, not in enough detail to answer those exact questions, as phrased. Practicing law isn't like playing baseball. In baseball, every at-bat ends in an out or an on-base. Those are the only options, so it's very easy to do a nice, clean statistical analysis of a hitter's career at-bats. The on-base portion of the Venn diagram has "hits" and "walks" (including hit batsmen) and "errors" — again, clean, exclusive, and chartable on a sheet of graph paper (or its electronic equivalent). People can, and do, compare the statistics of baseball players not only from different teams, but different eras, and make rational arguments about who was great, who was merely good, who was average, and who was below-average in comparison to one another. Edwards won some big jury verdicts. Those are indeed matters of public record. But those were, almost certainly, something under 20%, and probably under 10%, and maybe under 5%, and quite possibly under 2%, of the total cases he handled during his career. Even a goodly chunk of the jury verdicts — the ones that got him big local headlines and corresponding respect among his peers in the North Carolina bar — ended up settling on appeal. And I would bet my ranch (well, anyway, the ranch I someday aspire to own) that just like every other plaintiffs' personal injury lawyer in the United States during the last half-century, the overwhelming, vast majority of his cases settled before trial. Plaintiffs' personal injury lawyers have a truism: You don't make your fortune off the cases you try. You make your fortune off the cases you settle, based on the settlement amounts that are (in significant part) a function of the (vastly smaller) number of cases that you try. But by definition, settlements are "draws." They don't get counted up as "at-bats." They disappear down the memory hole, remembered only the individuals involved in each of them. Whether a settlement is a "good settlement" or a "bad settlement," a "win" or a "loss," is a very, very subjective subject. It's not just common, but incredibly common, for the lawyers for both sides in a settlement to claim victory in their private discussions with their clients and/or their comments, if any, to the press. Yet it's not just common, but incredibly common, for the lawyers for both sides in a settlement to secretly believe, in their heart of hearts, that they lucked out, or squeaked by, or avoided disaster, or broke even. Indeed, settlements aren't generally matters of public record. To the contrary, large and increasing percentages of them over the last half-century have been conditioned upon their terms remaining confidential — including settlements while appeals were pending, from those cases that have already gone to highly publicized verdicts. That conceals results that might otherwise have been deemed "victories" by other knowledgeable observers. But it also conceals results that might otherwise have been deemed "defeats," and nobody, not even the law firms and clients involved, can tell you with any precision at all how many of each category have been so consigned to secrecy. There does not live or breathe the plaintiffs' personal injury trial lawyer who has not wondered, agonized, paced the floor debating, and perhaps even vomited into the toilet wondering (to himself, to his spouse, maybe to a trusted partner), after the conclusion of a mediation that resulted in a settlement: "When the insurance company's adjuster or corporate representative boarded his flight back to ___, did he still have $___ thousand/hundred thousand/million dollars in 'settlement authority' that he ended up not having to agree to pay out? Did I leave big money on the table by settling, when I should have held out, maybe tried the case?" Because if he did ... then by one standard, the plaintiff's lawyer lost that case. So: If you're trying to predict how often President Edwards will be able to sustain his veto overrides, or ram unwanted legislation down the throats of an objecting (a/k/a "powerful special interest"-toadying) set of Congress-critters, what inferences can you actually draw from his success as a courtroom lawyer "who's been winning" against "these people" for "all [his] life"? You can't. Not if you know the truth about the nature of the career in which he was engaged before he entered politics. Not if you understand just how hard it is to compare trial lawyers in the same way that we compare, for example, baseball players or hedge fund managers. Nobody can either prove or disprove, objectively or statistically, Edwards' claim that he's been "beating these people." You can verify that he's gotten very rich by doing it — but that could just as well mean he's won big on one out of every 20 cases, not on 17 out of every 20. If you're a Democrat, would you be satisfied with a President Edwards who wins (but wins big) only one out of every 20 times he's in a political battle? I rather think not. Hell, Nancy Pelosi and Harry Reid are already doing better than that. You can only buy into John Edwards' inference — "I'll whip 'these people' as president just like I've whipped them as a hugely successful plaintiffs' personal injury trial lawyer" — if you're a bitter, class-resentful, and (most importantly) ignorant sucker. And John Edwards is counting on enough Democrats to be suckers who will buy into that spiel so that he'll get their party's nomination. I still don't think that's likely to happen. But that is his fundamental pitch. On "The Tonight Show with Jay Leno" Wednesday night, Huckabee said that voters are looking for a presidential candidate who "reminds them more of the guy they work with rather than the guy that laid them off." "Insincere" because this is the same Mike Huckabee who insists that he's not engaged in negative campaigning. (As I write this, I'm listening to him claim on Fox News that he won because Iowa voters rejected Romney's negative ads, and that he wants to be the heir of Ronald Reagan by obeying the 11th Commandment, Thou shalt not speak ill of a fellow Republican. Seriously.) Of course, all candidates do this to one degree or another, and I'm not suggesting this was a punch below the belt. But it's a wicked punch (in at least a couple of different colloquial uses of the word "wicked") from a man who claims to be very much the opposite of wicked (in any of those senses). And what should be of concern to conservatives worried about Huckabee's basic principles is that it's a very John Edwards-like (i.e., anti-capitalist, class-warfare populist) punch. Second take: Tonight Barack Obama is a rock star, and for this night at least, everyone who wants to see in him the ghost of John F. Kennedy in 1960 doesn't have to squint too hard. Just like JFK, Obama is charismatic and utterly unqualified to be President. The former's inexperience and reckless foreign policy miscalculations very nearly brought us to a world-wide nuclear Armageddon; will the latter's result in the first radioactive mushroom cloud over an American city? Third take: In underground bunkers somewhere inside the Beltway, cold-eyed Clintonistas are plotting revenge and marking up anti-Obama negative TV ad scripts to make them even harsher. The Democratic primary is about to become very ugly, with Edwards sniping at Hillary and Hillary clawing at Obama and Obama trying to avoid obvious mistakes. Fourth take: Pundit Juan Williams, on Fox News, seemed genuinely moved â and genuinely amazed and surprised â that a black candidate had just won decisively in a state with a statistically insignificant minority population. "Historic" is the word he and others used. And it is. The question is, though, what lesson does one draw from it? If Democrats were genuinely wise, they would draw from it the lesson that overt, deep-seated racism, while far from extinct in America, is no longer the defining wedge issue that Democrats have been deeply invested in for the last five decades. Some number of voters will never vote for Barack Obama because he's black, just like some number will never vote for Hillary Clinton because she's a woman, just like some number will never vote for Joe Lieberman because he's Jewish, just like some number didn't vote for George W. Bush because his accent is from Midland, Texas. But for all of these prejudices, the numbers, nationwide, are in the single-digits. They might decide a close race; they don't disqualify a candidate outright, though. Fifth take: I'm unsurprised by the GOP results, and as a Thompson supporter, I'm actually moderately encouraged by them. Huckabee, declared the "big winner," won by a lower percentage than Obama won the Democratic primary, and by a significantly lower percentage than he (Huckabee) was polling three weeks ago. He peaked two weeks ago, and while tonight's win will effectively complete his introduction to GOP primary voters nationwide, my strong conviction is that further exposure to him will continue his slide. Romney pulled only 1 vote in 4 after spending months and months and millions and millions in Iowa; he regained ground, but then, given his investments of time and money, it's a bad sign for his campaign that he'd lost so much in the first place. Fred is a movie star, but not a rock star; I think he'd make the best general election candidate, and the best president, but he's far from the best primary election campaigner. His showing was good enough for him to stay in the race, and it's a race in which time is his friend. New Hampshire will continue the GOP muddle, meaning Fred makes it to the Feb. 5 multi-state primaries â when I expect McCain will take a severe beating leading him to drop out of the race, and by when I believe Huckabee's balloon will be fully burst. At that point, it will be a Romney/Guiliani/Thompson three-way fight, the outcome of which may not be clear until just before the convention, if then. Thompson, last to enter the campaign, may by then have become the consensus candidate around whom uncertain and still-nervous Republicans can finally rally.